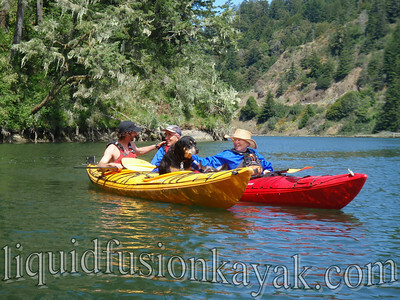 Over the weekend we paddled on Mendocino's Big River for the Cancer Resource Center of Mendocino in their first Cancer Paddle. This was a new addition to their popular Big River Walk. 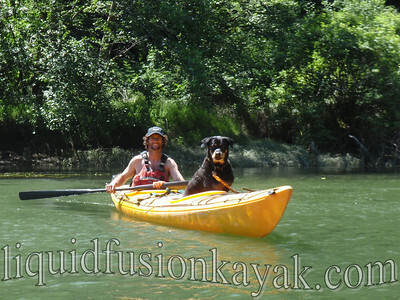 Jeff and Bear paddled the MANGO TANGO (actually Jeff paddled and Bear enjoyed the ride). 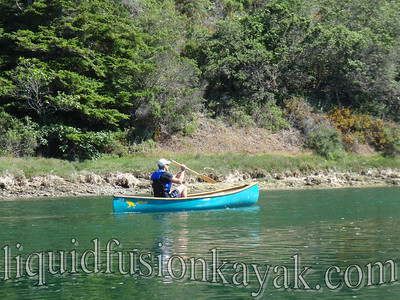 Craig and Jeff took turns paddling our canoe, and Sean and Maryanne paddled the RED TAMALE. As usual I was in my sea kayak and taking photos. It was fun to see KOZT's Teeth Richards on the river. I think he should have been helping the KOZT team out more on the return journey, but I guess that is one of the perks of being a mascot. 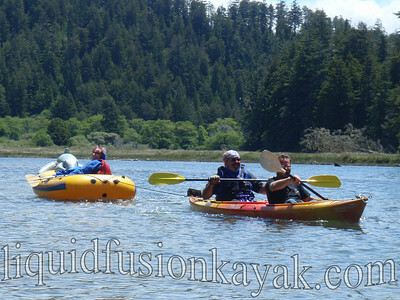 The windy return journey up Big River made us happy that Fort Bragg's protected Noyo River is our paddling home. 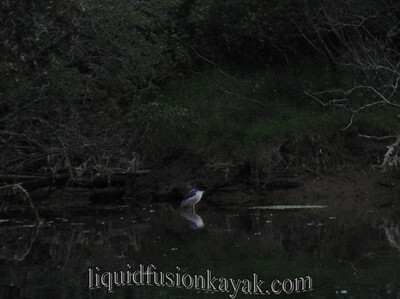 Sunset Bird Paddling and Noyo Meandering continue to be a popular afternoon and evening adventure. The river otters have been teasing us with brief encounters and the harbor seals have been delighting us with their curiosity. Last night, we saw 3 different species of herons within 100 yards of each other, a new brood of ducklings, and an osprey with a large fish. And on the wildside . 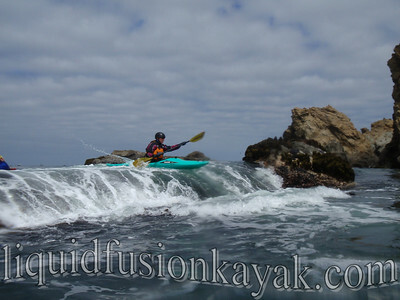 . .
We have been having calm coastal conditions with just enough swell to make for some rock gardening fun in whitewater kayaks. We have discovered a really fun "S" turn channel that can be used to link up some of our favorite features including "Nick's Nighmare" and the "Sound Cave." 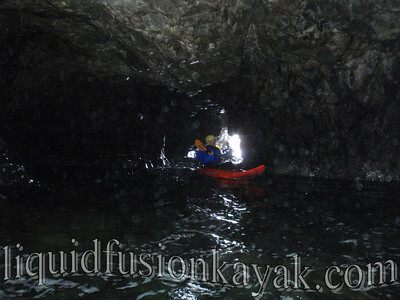 We ride "Nick's Nighmare", take the "S" Turn Channel, and then cruise into the "Sound Cave" which has a passage into the "Keyhole Cave". And yes, you may have noticed Jeff paddling with bare arms. It has been quite warm here. Fortunately there is plenty of cold water to cool-off with.